Another day another round of awful news for Theresa May and a huge boost for Corbyn. The lead many, including a lot of his own MPs, assumed would be placed in the dust bin of history after an electoral disaster. Instead it is the other way around, and a new poll by Survation for Good Morning Britain, has indicated that Labour has overtaken the Tories as the most popular party in the UK. 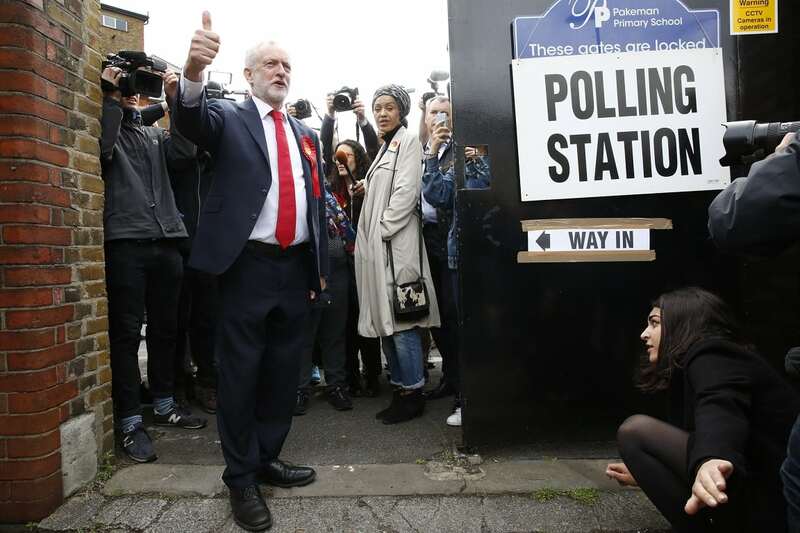 The poll gave the Labour party a three point lead over Theresa may’s party, with 44 per cent of respondents backing Labour, 41 per cent favouring the Conservatives, six per cent for the Liberal Democrats and two per cent for Ukip. The poll, conducted a week after the election result, said there had been “a dramatic change in the fortunes of the two main parties” since it first conducted a poll for GMB on 9 May. At one stage Labour were 17 points behind the polls. If an election was called tmw, the pollster believe Labour would become the largest party, but would not gain enough seats to gain a majority in the house. However, if Labour teamed up with other left leaning parties, they would be able to form a Government. Theresa May has still not reached a deal with the DUP to form a Government and she has come under harsh criticism of her handling of the aftermath of the Grenfell tower tragedy.